Thanks to all your responses over the past few days. A couple of people have asked me to write about the Kings Of Leon and Modest Mouse albums, both of which I have here. But to be honest, I'm not hugely keen on either (save the first track of the Kings album, "Knocked Up", which is the best thing they've done by far). The point of Wild Mercury Sound, I guess, is simply to write about things I care for. Thanks to all your responses over the past few days. A couple of people have asked me to write about the Kings Of Leon and Modest Mouse albums, both of which I have here. But to be honest, I’m not hugely keen on either (save the first track of the Kings album, “Knocked Up”, which is the best thing they’ve done by far). The point of Wild Mercury Sound, I guess, is simply to write about things I care for. We get something like 800 new CDs a month sent to the Uncut office, so it seems a bit churlish to fixate on stuff I don’t like when I can easily find 20 or 30 gems to blog about each month. In the next few days, I’m planning to write about new albums by Wilco, Bright Eyes and Bill Callahan, plus some great reissues by Trees and the mighty Boredoms. 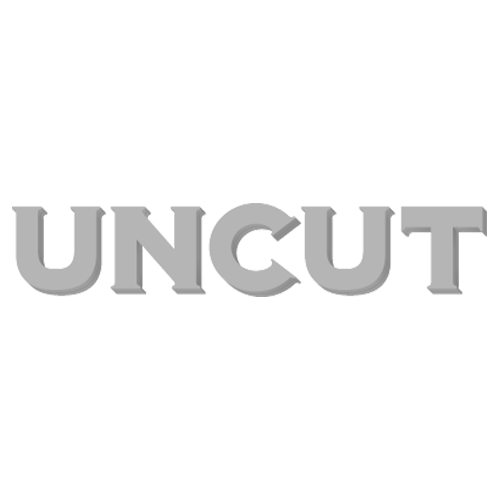 Kings Of Leon fans, in the meantime, should have a look at the new issue of Uncut, which features an interview with the band by Bud Scoppa. I’m advised that it’s bad blogging etiquette to turn a post into a trailer for the mag, so I won’t dwell too long on the new issue. But I do want to flag up the free CD. It’s called “Wake Up!”, it’s compiled by Stephen Trousse and Allan Jones, and I think it’s the best primer to New North American Indie that I’ve come across. Amongst the big names like The Shins, TV On The Radio, The Decemberists and Clap Your Hands Say Yeah, I keep coming back to a song called “The Galaxist” by Deerhoof. I first came across this San Francisco band a few years ago at All Tomorrow’s Parties when they were promoting “Milk Man”, a concept album about a malign milkman monster thing, and, if memory serves, the singer, Satomi Matsuzaki, was wearing a pair of shoes that looked like bananas. They’ve become one of those band’s bands over the last few years, obsessed over by Radiohead, Wilco, Flaming Lips – big bands on the vaguely leftfield edges of the mainstream, basically. The album that “The Galaxist” comes from, “Friend Opportunity”, is out in a couple of weeks, and I reckon it may be their best yet. If I called it cutie-prog, that’d probably be offputting, but it combines fiendishly complex, endlessly mutating art-skronk with really childish and charming pop songs. Sometimes the two contrasting impulses clash and jar, probably on purpose. At other times, they come together beautifully: Kim Gordon’s friendlier moments fronting Sonic Youth – “Bull In The Heather”, maybe – come to mind. Give “Wake Up!” a listen, anyway, and let me know what you think.